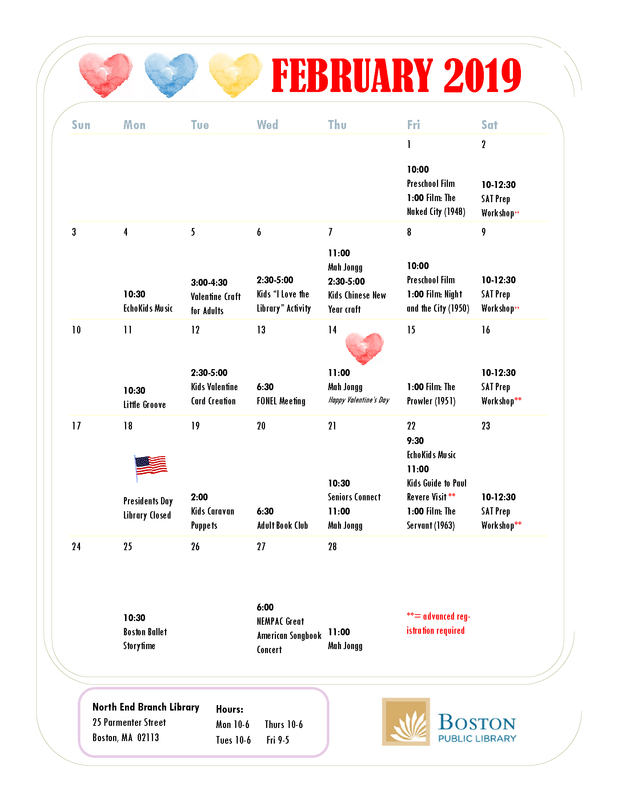 Join the North End branch of the Boston Public Library for a great lineup of events in February 2019. There will be events for seniors, teens and children including movies, crafts, book club and SAT Prep. See the full calendar below. Click to enlarge.